Colonists can now get a exciting variety of diseases, mental illnesses and conditions! 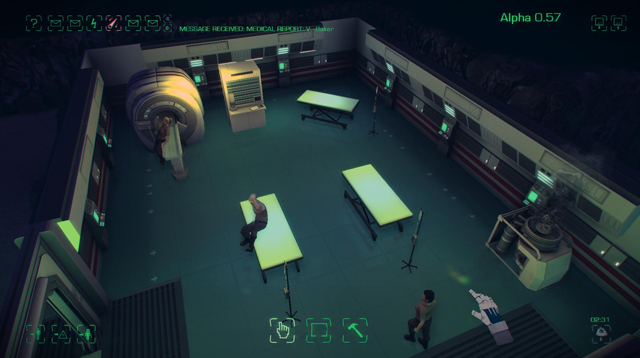 Colonists develop medical issues from hundreds of factors in the simulation. They may show their illness through action or cryptically through an email. In order to properly diagnose them however, a medical scanner or a skilled doctor is required. Once a colonist is diagnosed they will require treatment. 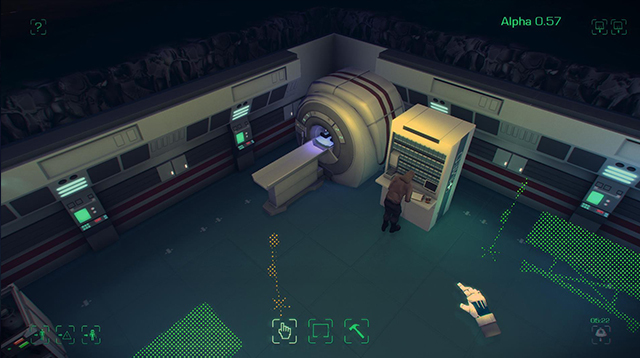 The diagnosed colonist can receive prescribed medicine from the new dispenser unit and rest and recuperate on a 'meat trolley' until fully healed. Researching the local ecology can provide new technologies and medicines to speed up treatments. Colonists caught in earthquakes, cave ins and explosions may develop fractured limbs, which cause them to walk with a limp until cured. This puts a serious crimp on the colony’s interpretative dance sessions. 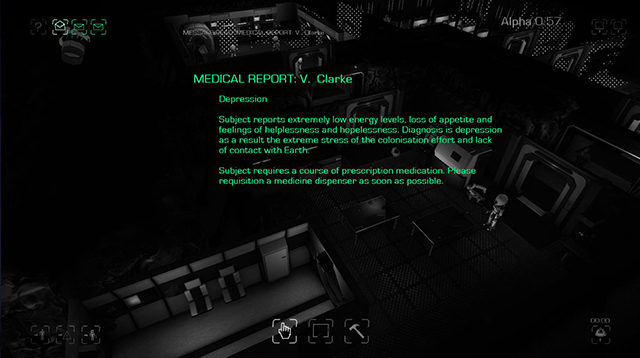 High amounts of stress and poor social activity can lead to colonists becoming depressed and lacking in energy. Antidepressants and a change in environment can help perk them up. High stress and frustration can lead to blood pressure issues. This is best treated with ACE inhibitors, soothing lighting and avoiding any discussion of the current political situation. If your colonists diet is not well balanced they can develop fatigue, dizziness and tingling in the hands and feet. Perhaps consider growing something other than just potatoes. Although character building, too much hard manual labour can lead to colonists developing muscle fatigue, hampering their ability to help around the base. Building repair robots can help alleviate the strain on these fragile fleshy meatbags. Eating raw food can cause severe gastric distress. This can cause serious fatigue and dehydration issues for your colonists. Watch out for them using the bathroom too much, they probably need treatment. You would too if you ate a whole chicken raw. One of two conditions that can potentially outright kill your colonists, Renal Failure is caused by a contaminated water supply or sustained untreated Vitamin Deficiency. None of Maia’s colonists are registered organ donors, so this is best treated early. The other deadly condition, poor reactor maintenance or getting caught in cosmic rays can prove fatal to colonists. There is no chance of irradiated colonists developing superpowers, please stop trying to make this happen. 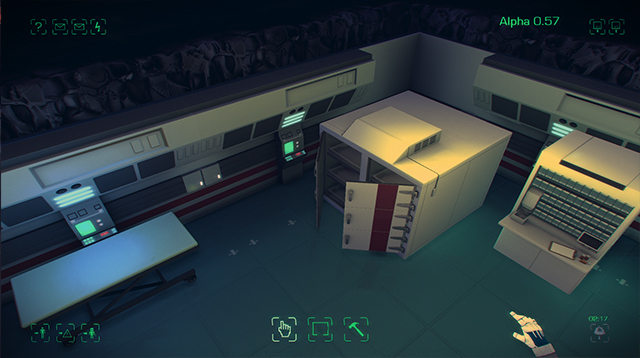 Several colonists have complained about having to keep bodybags next to their rations in the storage room. 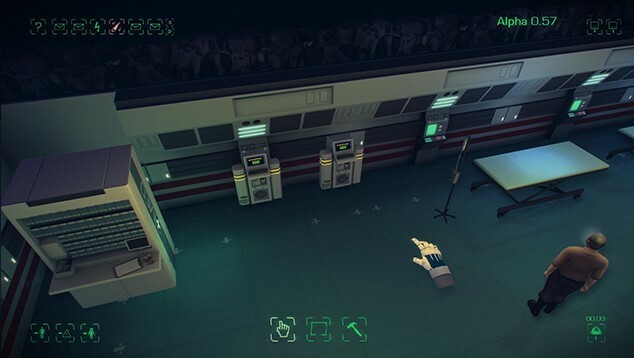 The body storage unit holds onto the corpses a little more hygienically and without harming the sanity of your team. Colonists now gather around objects that produce heat to try and warm themselves up and stave off hypothermia. This new system gradually generates a store of oxygen and nitrogen. In the event of a sudden loss of atmosphere the mixture can be immediately released, providing a short burst of breathable air and offering colonists time for an orderly evacuation or a short retrospective on the life choices that lead them to this moment. Colonists now voice their opinion on your food supplies, with a wide range of emails ranging from “yum, enough for seconds” to “oh god we’re going to die”. Colonists with skills relating to food production can give better estimates. Colonists can now get off the bed on the opposite side to how they got on. The colony manifest has been updated to include more information on food and rations. 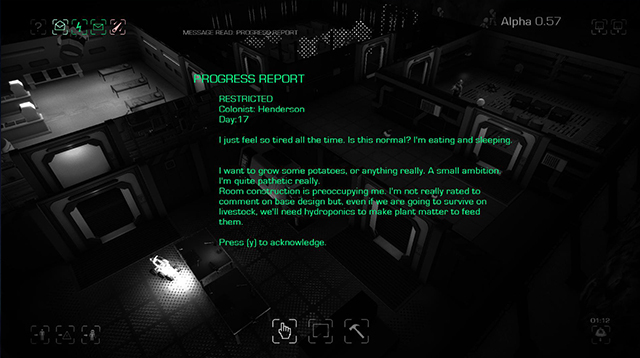 Hydroponic plant growers now give estimates on the amount of food energy in the growing plants, to help players plan their production. Earthquakes can now damage items so much they catch fire. The room menu now uses the new GUI added for object placement in 0.56. Colonists using the toilet is now properly simulated. Previously they used it whenever they didn’t have anything better to do. Several new Infotips added and many spelling mistakes fixed. Colonist water intake rebalanced and better simulated. They will use more water now. Added console commands for causing a solar flare. Object spawning limiters fixed. No more infinite jungles and deadly chicken explosions. Avian feeder action fixed. Previously colonists were running around it in circles. Fix for objects advertising needs with no actions available, wasting colonists' time by tricking them with something that was not really on offer. Colonist inventory size for food is now limited. Pushing them to share what they have taken instead of starving their team to death. Colonists no longer starve to death because they'd rather complain about being too hungry to eat because it was easier to complain and die. Fatigue rebalanced, better linked to colonists activity. Bed usage more consistent. Several interaction points modified on problematic objects. Colonists take much more kJ from ration packs. Repetitive object usuage fixed. Specifically with ration packs and food stations. Missions rebalanced to reflect new food usage. Deprioritised food production when it’s not needed. Second tier research is now prioritised a little higher. Reduction for bored colonist eating, hunger better simulated. Added the ability for colonists to request several more objects and rooms in their emails. Many new sounds added and some older ones tweaked. Update 0.58 is fast approaching. For this we’ll be focusing on the campaign and even more bug fixing. To see live development head over to dev.maiagame.com. We hope you enjoy this update, please let us know what you think over on the Maia forums or on Twitter. We're aware that the build isn't on the members area yet. I'll update as soon as it is. Omg, I am drooling right now at these features. Can not wait to try it out. Such depth.